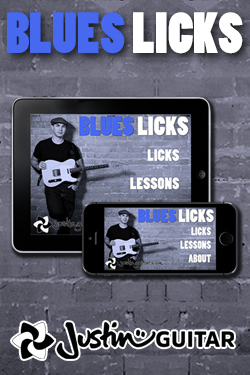 Loads of people asked about making my Blues Licks series into an app... so we did it! This app is all 56 licks from my popular Youtube series, but you can now download them into your device watch back and see onscreen tab and animated neck and the videos are bookmarked for the different sections os it's super easy to use! At this stage we can't justify an Android version, development is too expensive and difficult because of so many screen sies and other technicalitites. Sorry! 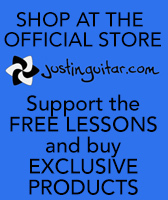 Big thank you all at LeafCutter for their hard work making this app so awesome!